The themed resort is one of the things that makes Vegas so special. If you just want to gamble, you can find casinos all over the place. Only in Vegas can you walk from an Egyptian pyramid to a Mid-evil Castle to New York City without even traveling a mile. Enter NYNY, MGM’s contribution to the Vegas themed offerings. 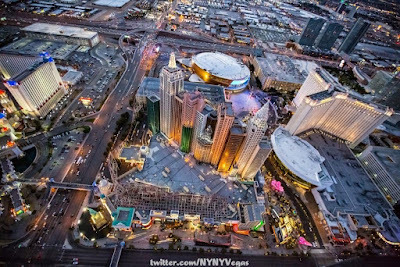 Located on the corner of the busiest intersection in the United States, Tropicana and Las Vegas Blvd, NYNY was a huge hit from day one. It aimed for the mid-market right out of the gate and they came. Some have argued that the property has an identity crisis with Cirque’s most provocative production in residency while also offering a huge arcade and a roller coaster, clearly aimed at entertaining those not old enough to gamble. 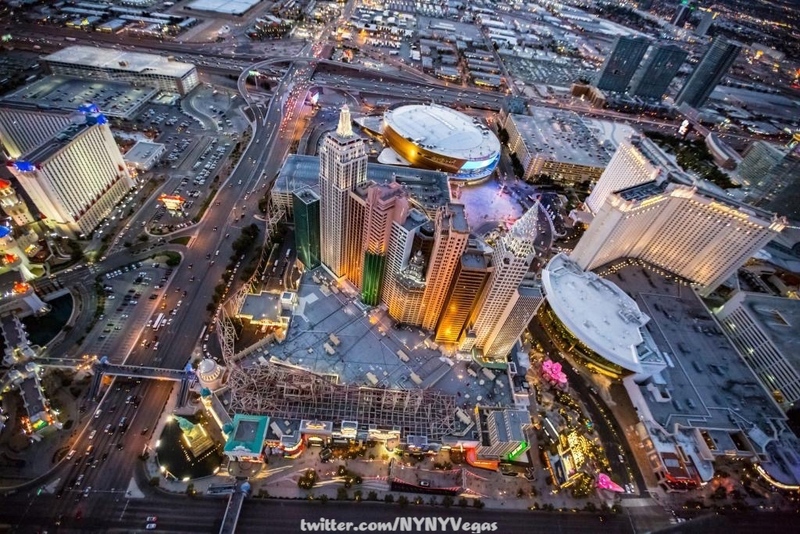 Today, it’s one of the anchor properties of MGM’s outdoor promenade “The Park”, a play off of New York’s central park, if only in general concept and location to the themed resort, complete with a 20,000 seat arena and home to the cities first professional team. Coming up on it’s 20th anniversary, it doesn’t appear to be going anywhere anytime soon. Despite being the 4th property built on the strip, the Thunderbird, for some reason, has not been able to cement itself into the legend of Las Vegas past. 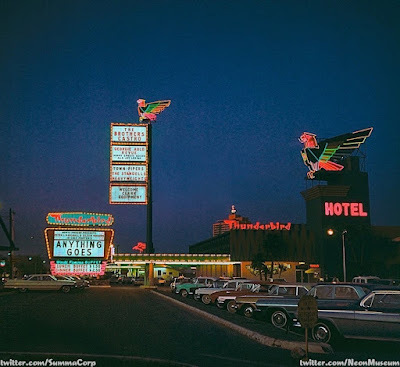 Perhaps its because it was bookended by two iconic properties in the Flamingo (46) and the Desert inn (50), Thunderbird opened in 48. But it isn’t like the building boom of the 50s when so many casinos opened it would be easy to get lost in the mix. It had a unique Native American theme as well as the only bowling alley on the strip. It had mob ties shorty after opening because they couldn’t pay out all the winnings from opening night gambling. Despite all that, the Thunderbird is little more than a footnote in our minds. Why? I think the real reason is something we are seeing going on today in Las Vegas…rebranding. The Thunderbird was only known by that name for the 1st 28 years. When Major Riddle, owner of the Dunes, purchased the property in 76, it was rebranded the Silverbird. That name only lasted 6 years because when Riddle sold the property to Aladdin owner Ed Torres in 81, he rebranded it the El Rancho, trying to trade in on the memory of the original Las Vegas strip resort that burned to the ground in 1960. The Thunderbird existed as the El Rancho till 1992 when it closed. The property changed owners several times after that, all with plans to invest and reopen but that never came to be and it was finally imploded in 2000. Today, the land Thunderbird once resided upon is now part of the land the incomplete Fontainebleau projects sits on. Thank you @NeonMuseum for sharing @Summacorp’s picture and allow me to remember Vegas past and share it with our listeners.